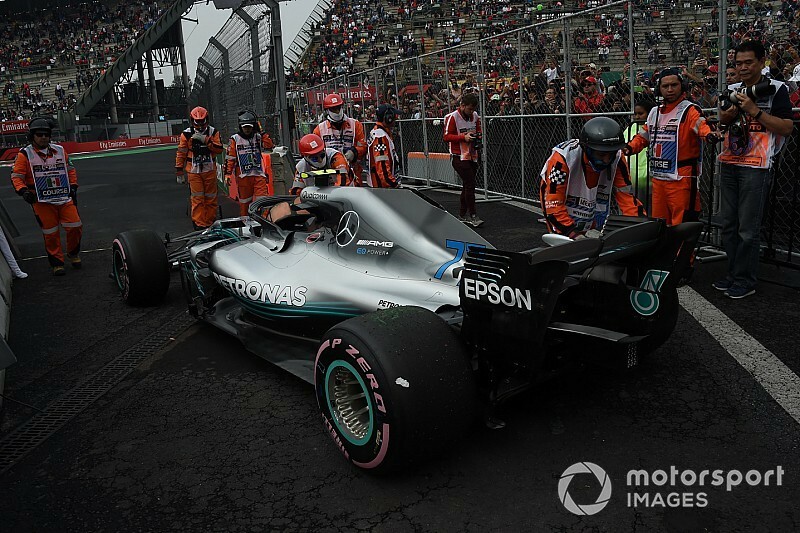 Mercedes Formula 1 boss Toto Wolff says that the hydraulic failure that stopped Valtteri Bottas in FP3 in Mexico was “unusual”, but is confident that title contender Lewis Hamilton is not at risk in Sunday’s race. 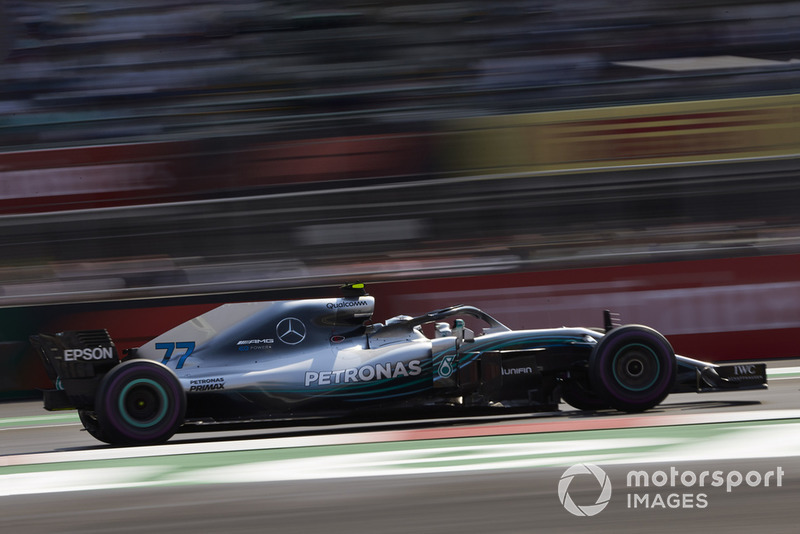 After Bottas was forced to stop on track in the Saturday morning session, Mercedes had to change his power unit, fitting one that was already in the pool of available components and was raced in Austin. 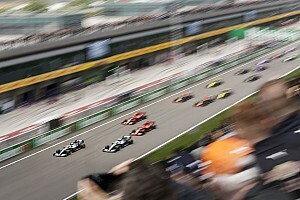 “The failure we have seen on Valtteri’s engine is a failure we haven’t seen for many years,” said Wolff. “You can call it an unusual failure, with mileage where it shouldn’t have happened, so we need to investigate. The engine is going to go back to England. “We’ve just heard that Valtteri’s reliability issue shouldn’t affect Lewis’s engine. 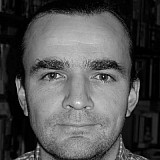 Nevertheless, it is a reminder how fragile the situation is, and how much everybody is pushing in order to extract performance. Wolff stressed that the team couldn’t be too complacent about finally sealing the title with Hamilton in Mexico. “I’m happy with what we have achieved today. And now it’s about carrying that through tomorrow. 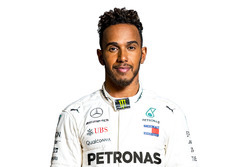 We have it in our hands with having a good result with Lewis tomorrow that could be the decisive result for his championship - with emphasis on 'could', it’s not done yet, we mustn’t drop the ball. 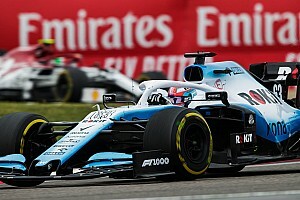 Wolff said that the team did a good job to deal with the late change of engine in Bottas' car for qualifying, which was made more complicated than usual by the special requirements of the high altitude in Mexico. 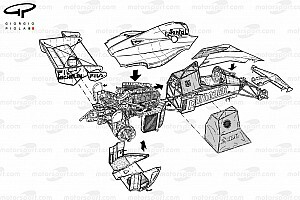 “The HPP guys and the mechanics have done a really incredible job in first of all putting the engine onto the car in time, and then calibrating it so it can run here on the Mount Everest. 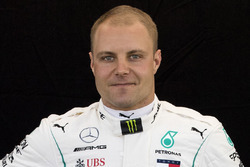 Bottas himself was satisfied to be able to take part in qualifying and secure fifth place. “It wasn’t ideal that I only really had one lap in FP3,” he said. “And it was pretty busy between the sessions, but they got the car back together.